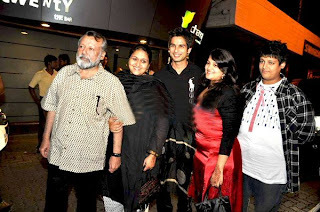 Actor Shahid Kapoor, who is presently shooting for his father Pankaj Kapoor's film Mausam, persuades the makers to bill his step-mom actress Supriya Pathak as the associate director for the movie. Pathak has a prominent contribution towards the filmMausam. She has put in a lot from lighting to the script, dialogues, to making sure that the actors have their lines ready, to adjusting their clothes, making sure Pankaj has his medicines and meals on time. Looking at Pathak's enormous hand in shaping up the film with hubby director Pankaj, Shahid requested the producers to credit her as an associate director in the film. Mausam, producer Sheetal Talwar reluctantly admits (Mid Day), "Yes, we are thinking of something on those lines (to bill Pathak as associate director)." Well, that's the loving relationship that Shahid shares with the veteran actress. While director Vishal Bhardwaj and Shahid Kapoor have joined hands for the sequel, the lead actress finds herself left out from the film. Shahid Kapoor and director Vishal Bhardwaj's patch up has rung true with the confirmation of the duo coming together for the sequel of Kaminey. However, the real shocker is the omission of Priyanka Chopra in the second part of the film, a role, which won the actress a number of awards. Speculation states that the reason for Priyanka's conspicuous absence from Kaminey 2 is her estranged relationship with Shahid and that he has refused to do any more films with her post the wrap up of Kunal Kohli's next love story. 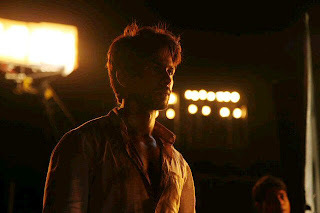 Vishal wants Shahid to work on the six-pack look to play one of the twins. Right after Kaminey 2, Vishal will direct 2 States with Shah Rukh Khan for producer Sajid Nadiadwala. Talk of a sequel has been on from the time Kaminey was released. It gathered momentum due to the estranged director-actor team's renewed friendship. Reports are that Vishal and Shahid bonded at the actor's birthday bash in February. They were even spotted together at screenings of Amole Gupte's (who enacted the main villain in Kaminey) children's films Aansoon Baney Moti, Ummeed, and, of course, Stanley Ka Dabba. They were joined by Abhishek Chaubey, who wrote the film, reiterating the news of the sequel. Even though actor Shahid Kapoor rushes against time to finish the post-production work of his father, actor Pankaj Kapoor’s directorial debut Mausam, there’s been a quiet casualty in the process: mom, actor Neelima Azim’s debut film as a filmmaker. Interestingly,it was Neelima who approached her son first with a script. According to reports, Shahid decided to abort the plans following arguments and debates with his mom. A year later, he signed his dad’s directorial debut film, which also has actor Sonam Kapoor in the lead. When contacted, Neelima confirmed, “The film is not happening right now, but we haven’t stalled the project yet.Right now, I am pretty excited to return to the big screen after almost eight years.” The actor and former Kathak dancer is making a comeback on the big screen with the film, Kuchh Log,which is directed by her long-time friend Shuja Ali. So did her relationship with her son hit a low after he opted to do his dad’sfilm instead of hers? 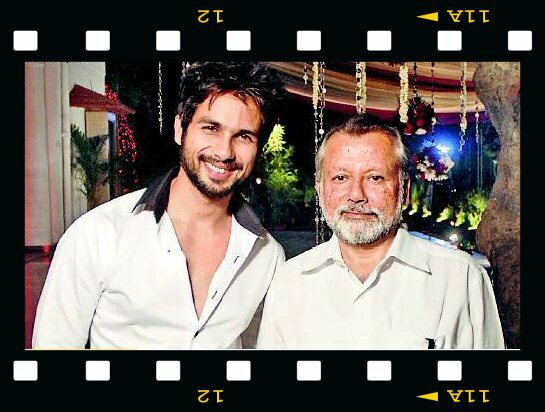 “Everything is fine with me and Shahid. He’s my son. There is absolutely no connection between his professional and personal relationships. He takes his own decisions.Besides, I agree with him that there has to be a suitable project to cast him as the hero,” says Neelima, clarifying that when she thought of Shahid as her hero “he was not as big a star as he’s today”. Neelima, however, plans to launch her film at a “suitable date in the future,” but it would not have Shahid in the lead.